Katie Duggan attended her first yoga class after a neck injury which left her unable to drive or go to the gym. She fell in love with yoga during that first class and is now sharing her passion for yoga with others through teaching. 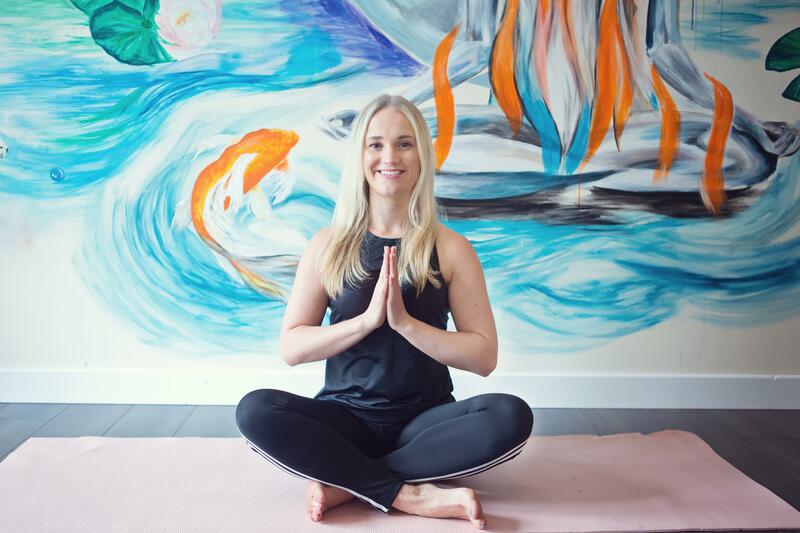 Katie is now qualified as a 200-hour yoga instructor - Embodied Yoga Principles Teacher, Kinetic Flow Instructor, Reiki Master and Beauty/Holistic Therapist. With over 10 years in the holistic and beauty industry she is living her life with passion and committed to helping people who want to help themselves. She trained in India, Thailand and the UK to deepen her knowledge and yoga practice. Her classes and 1-1 sessions are aimed at assisting you in your journey towards your goals through specific practices which develop life skills through personal development practices. Yoga will give whatever it is you need, flexibility, confidence, inner and outer strength. Everybody moves in their own way, so find what feels good for you. Shining the light on those dark areas and help other aspects of your mind and body. Classes vary, but you will experience a cocktail of embodied yoga principles, kinetic flow, hatha yoga, breath work, guided meditations, chakra links and much more. All levels even complete beginners. Solo workshops, collaborations and events. Sharing the knowledge and working on enlightenment, positivity and growth. Also available for group bookings and corporate events. Energy works on different levels the physical, mental, emotional and spiritual enhancing everything in life. One of the greatest reiki healing benefits is stress reduction and relaxation, which triggers the body's natural healing abilities, aids in better sleep and improves and maintains health. Kinetic Flow is an integrated movement, class-based system that combines our applied neuroscience techniques to develop stronger, more flexible and more pain-free bodies. This system is designed to give your body as many resources as possible to create positive change. 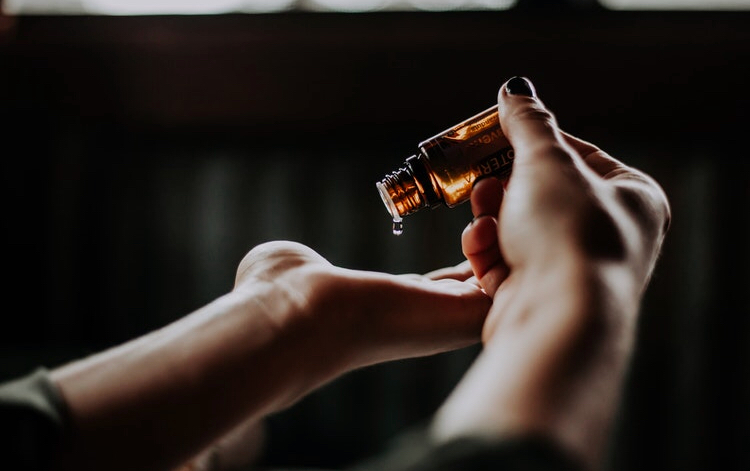 Whether your need is to have a moment of relaxation, reduce muscle tension or attain relief from chronic pain, a therapeutic massage can enhance your overall sense of emotional and physical wellbeing. Massage therapy can be an important part of your health maintenance plan. Reiki and yoga: A potent combination. This 30 day programme will help you unblock your life force energy. this programme will help create a surge of prana that can veritably catapult your mind, body and spirit to and more enlightened and invigorating plane. I first attended Katie's yoga class in early 2017. I had never done yoga before so it was a bit daunting. !!! Katie's introduction was very reassuring. She's explained to the class that we should work at our own level and not look at other people. I did exactly what she told us and have never looked back. Her classes are very personally rewarding and I have made huge progress in my flexiblity and level of fitness. She very gently encourages the class to challenge ourselves while still enjoying the experience. Yoga has now become a big part of my everyday life thanks to the first yoga class with Katie. I have been lucky enough to have experienced one to one classes with Katie. She is a wonderful teacher and has given me great confidence in what I can achieve in yoga. She gives very gentle encouragement so it meant that I could challenge myself without it spoiling my enjoyment of our class. I feel she has taken me a long way in a little over a year. 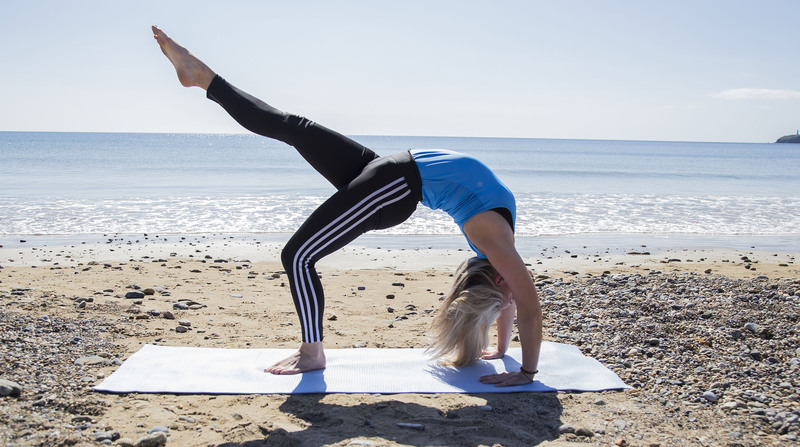 Katie shares her knowledge of all aspects of yoga very generously and my one to one yoga classes with her has been hugely beneficial and very important to me. I did a one to one yoga class with Katie and I have to state it was absolutely fantastic!! On that day I was sitting with life difficulties and Katie intuitively knew what yoga class to do that would balance and restore harmony in my body. I felt so nurtured by Katie through combination of yoga movements, brethren work and at the end we did "giving" and "receiving" exercises to open my love for myself. It was the perfect style of a yoga class for what I needed- spirit, body and mind! Thank you Katie you are just awesome!! Eat Pray Love……was one of the first movies I watched and felt that I need to do this… get away to find myself, find peace and more meaning in what I am doing ….. that is before I started this journey with you … little did I know that when I began this transformation journey with you that all I needed was this opportunity to be guided by you … Thank You. When I decided to meet with you to find out what was involved in the Transformation Training Programme I had been through a very difficult period in my life and while I had meditated, walked and researched various fitness regimes ... did all the things a person should do to live a meaningful life … I still felt stuck on that ‘hamster wheel’ ? ….. I had come so far by myself and needed something else but wasn’t sure what that was … After our meeting I knew … I needed to be guided, understood and supported and your training offered this to me for the first time. When we discussed the plan for the coming weeks, I felt and knew instantly that, it was the right thing for me to do. After two weeks with you, I went on a further journey with you to myself for two more weeks. This was the best decision I have ever made in my life to start on this Transformation Training Programme with you Katie. It was tough at times but ‘Feel the fear and do it anyway’…. You provided spaces, in a non- judgemental and professional way for me to be honest about how I felt about myself .… I began with your help to identify my feelings … Betrayed, Vulnerable, Fragile and Lost…. You then provided me with the time, space and care to reflect on what I needed to feel…. Healthy, Confident, Energised, Balanced and have Clarity in order to feel alive…..
And then the journey began …. Water, Yoga, Reiki, Clearing Spaces, Food for the Chackras, Chackra Balancing, Crystals, One to One Yoga, Laughter, Tears …. 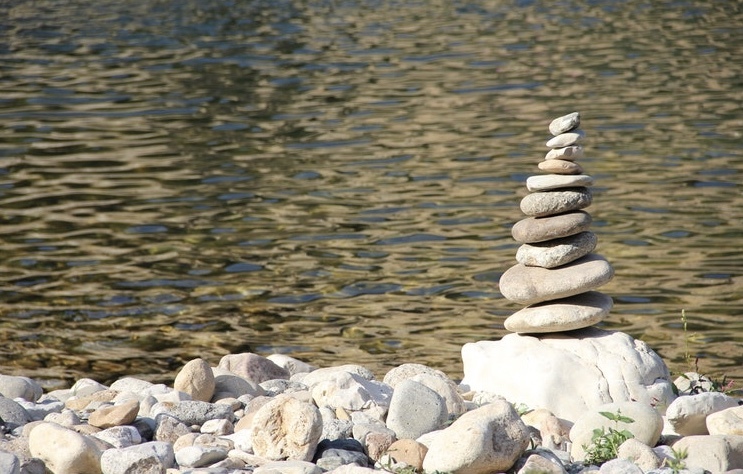 Calmness, Happiness, Hope, Connections, Confirmation … Care, Support …. Masks, Dreams, Numbers, Angels, Cats, Eagles, Peacocks and Owls … Fitness, Health, Friendship and much much more … I am forever grateful…. I used to imagine I needed to get away to find myself, be true to myself, find peace, start again … the reality is that you provided the gentle support and calming spaces for me to remember to be true to who I am and to live my life in a more meaningful, confident, grounded way -true to myself. You reminded me to Breathe, Reset, Reflect and Rest – I felt protected in the wellness spaces you created through yoga, meditation and oriental healing. Thanks to you, I am grounded, flexible and getting fitter... I now need yoga like I need air and water to survive, to live, to achieve and be happy in this world .…..
EAT -I am Healthy - You introduced to me to Water/Keefer/Food for Chackras/Garlic/Onions. PRAY -I am grateful -You reminded me to Breathe/Have Intentions/Connect/Give Thanks. LOVE -I am Nurturing, Caring, and Loving toward myself now, thanks to you. Good luck with this amazing programme…. Journey…. 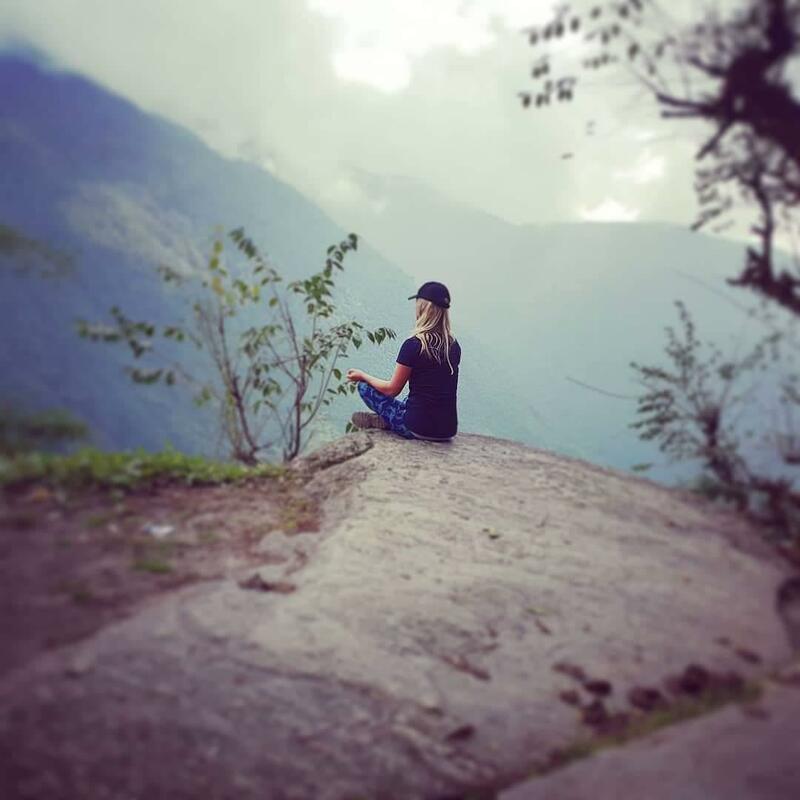 Adventure… Namaste…..
See you in Yoga ? I have just finished 3 reiki sessions with Katie and I went in not really knowing what to expect. Katie has an amazing way of making you feel completely at ease and had a fantastic positive effect on me. The sessions themselves are very relaxing and a wonderful experience. She pointed out things about me that I knew deep down inside but hearing her say it just made me feel more confident and at ease with myself. I absolutely loved my sessions with Katie and look forward to coming back anytime I need to relax or just feel a bit off balance. I couldn't recommend reiki with Katie enough. I had never done it before so I wasn't sure what to expect but I was made feel so comfortable and welcome straight away. If nothing else, it is an hour to completely relax, unwind and forget about everything. It is the perfect mix of relaxation and meditation. I felt so positive after my first session that I couldn't wait to go back. My first experience of reiki treatment was with Katie. I won't lie I didn't believe even know what reiki was, but all I knew is I had an open mind and wanted to see what it was all about. Katie is my yoga teacher and now I feel like she is my mentor, guiding me in life and showing me what the best version of me can be. My first reiki treatment was intense. All I can say is I felt different after it but in a good way. Her words and reassurance guided me in what I was to experience next. Within a week I went back for my second treatment, I felt it was necessary for me to investigate more into myself and discover my potential. If you are reading this and thinking about trying it, all I can say is do it. Go in and take it for what it is. Katie is absolutely lovely and truly cares about your ecoerience. I can contact her any time or day and ask her more about my treatment if I was unsure about anything she said. Couldn't recommend Katie enough. Truly feel in safe hands.